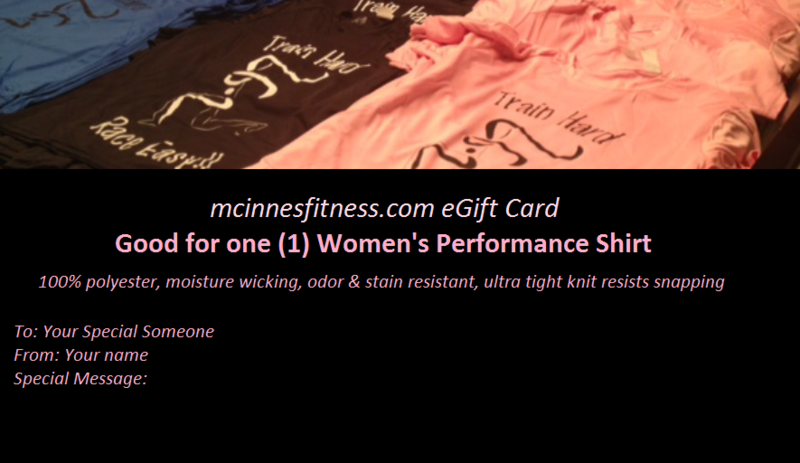 Whether you are a walker, runner, marathoner, or simply love fitness these performance shirts are for you! 100% Polyester, moisture wicking, odor resistant, stain resistant, and the ultra tight knit resists snagging. Sizes: S, M, L, XL. This symbol of a woman running also symbolizes 26.2 (when turned 90 degrees to the left) for the distance of a marathon. But she means so much more! She is a symbol of women's strength and beauty, and reminds us we can do anything we put our minds to. Order a shirt today for your next workout, run, race or an active loved one! Your feedback is extremely important to me. Please email me with any questions or comments to: mcinnes.fitness@gmail.com.